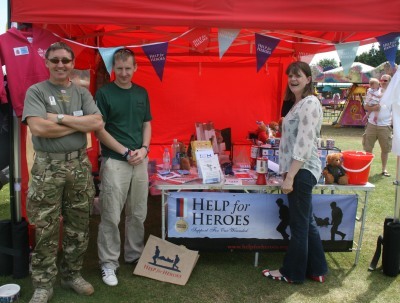 People from the local community were made very welcome to the fun day for the families serving at Dalton Barracks. The Military Wives were performing when I got there – near the end of the fun day part of the event. 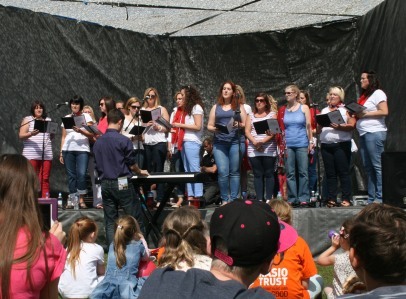 An evening of music followed – like fun in the parks and music in the parks in Abngdon. It was a beautiful clear day and the fun day ended with parachutes. 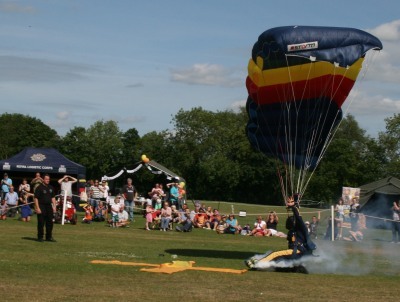 As their aircraft circled over Dalton Barracks, parachutists jumped and had to free fall for about 10 seconds. Once the parachutes opened we could see trails of coloured smoke looping round, intertwining. Then one after another the six parachutists came in from the same direction to land as near as possible to the yellow cross. 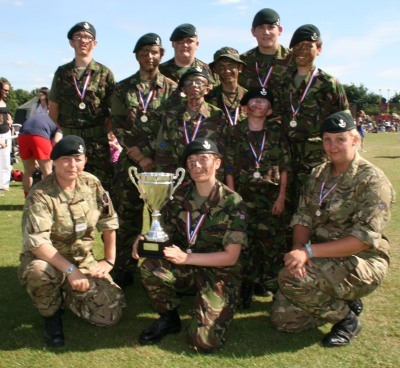 There was also a presentation at the end of the day, by those same parachutists, to the Abingdon Army Cadets – for being team of the day. 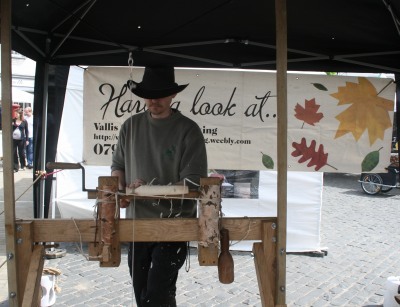 The Local Excellence Market had a lot of stalls including a wood turner running a simple lathe with a foot pedal and string. It seems strange that the newly refurbished precinct is still being touched up. The two large new units are still empty six months down the line. 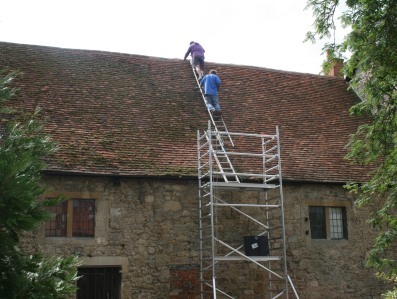 There were two men scraping the moss from the roof of the Old Abbey Buldings. This week in the Unicorn Theatre The Abindon Drama Club has been performing The Accrington Pals. Bells were ringing for weddings. The Town Crier was in good voice crying from the County Hall roof, and clearly audible down below. It was a lovely Saturday. 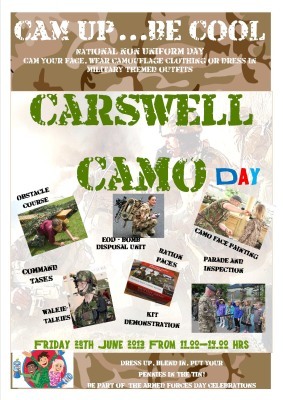 Pictures of the Family Day at Dalton Barracks to follow. 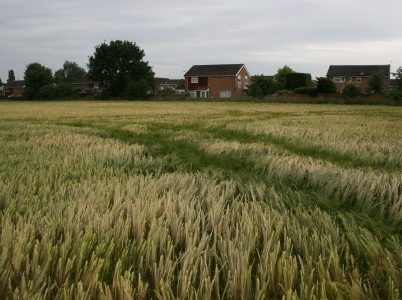 The planning application for the field at the edge of Peachcroft is now underway. Letters have been sent by the Vale of White Horse to neighbours asking for comments. 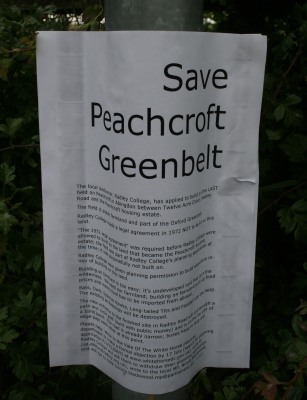 A lot of the land for the Peachcroft Estate was owned by Radley College and developed back in the 1970s. Just one corner plot has remained, and for some years was protected by covenant. 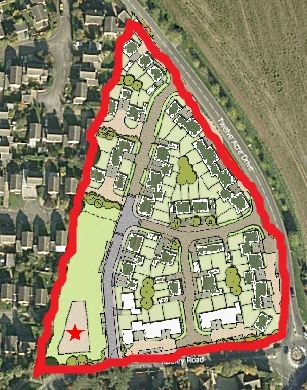 Radley College would now like to develop that field for housing. 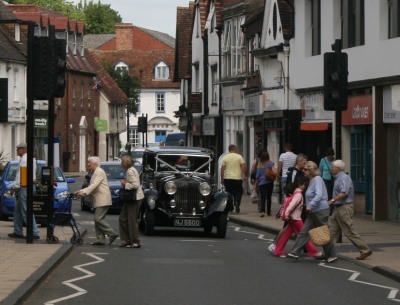 The money raised would fund further development of the college but has raised some opposition from the local people. The decision will be made in September. 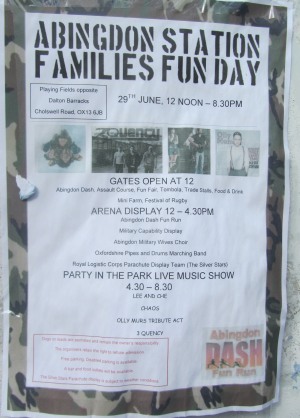 On the Sports Field across the road from Dalton Barracks, everything is being laid out for the Abingdon Station Families Fun Day on Saturday 12 – 4:30, which is followed by a Party in the Park, where among other acts there is an Olly Murs Tribute Act. 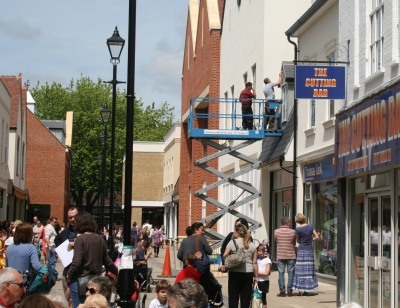 The event is to say thankyou to families, and local community are very welcome. Many thanks to Dalton Barracks for allowing Abingdon Town Amateur Boxing Club to train in your excellent gym for another year. A big thanks to Robert who is taking a rest as coach after this year, after many years of coaching, and to Kevin who has led coaching this year. Thanks also to Zaheer and Hamish for all the work they do at the club. If anybody is interested in the art of boxing and would like to help support the club, the AGM is on 11th Aug at Preston Road Community Centre at 7pm. 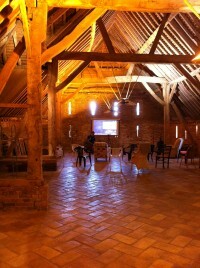 in the barn of Stonehill House. The performers are ‘Street Children’ from Russia. 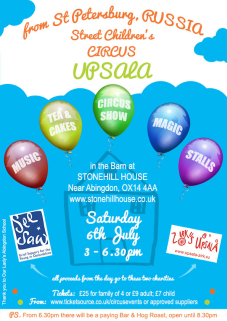 Upsala Circus is a unique project aimed at giving ‘at risk’ kids, a dream, through learning circus and other skills. 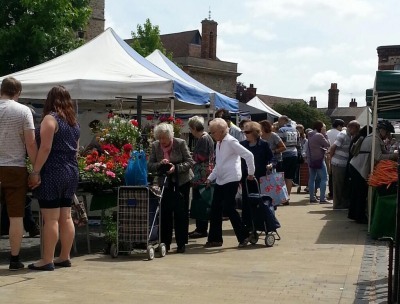 If the weather holds good then there will be a chance for people to wander the gardens, enjoy a string quartet playing in the open pavilion, have tea & cakes, look at stalls on the lawn etc. The circus show itself is at 5pm. Stonehill House is off Oday Hill. 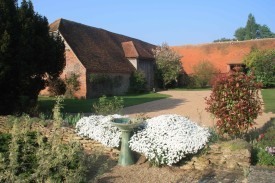 The Stonehill house website has the booking details and directions. Many thanks to Anthea for hosting this, and all the other interesting activities she has put on of late.